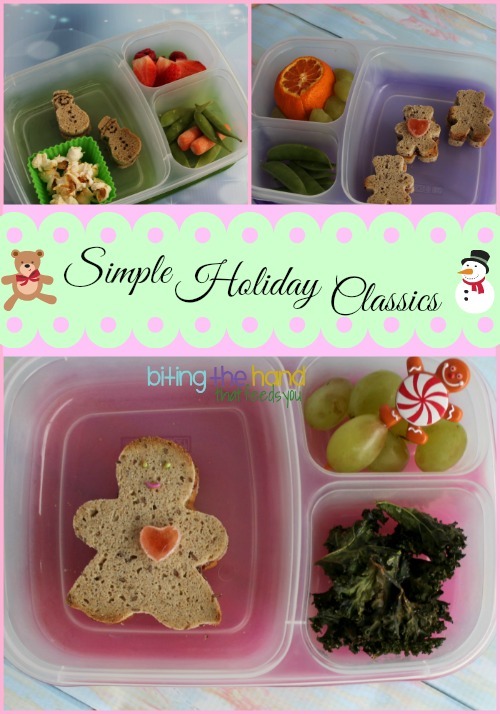 Simple can be just as fun and yummy, and using cookie cutters is as simple as it gets! 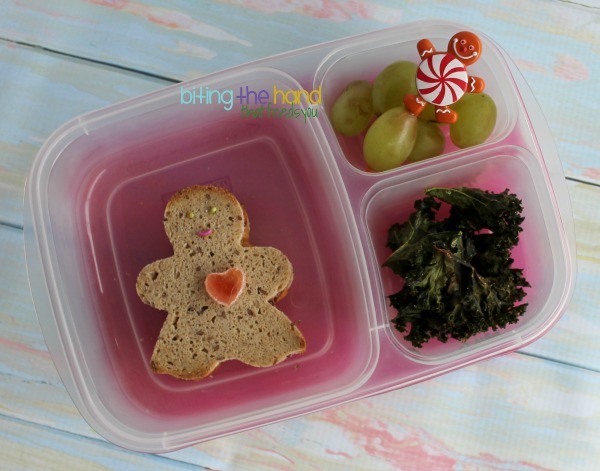 Here are some loosely holiday-themed lunches made cute and simple. 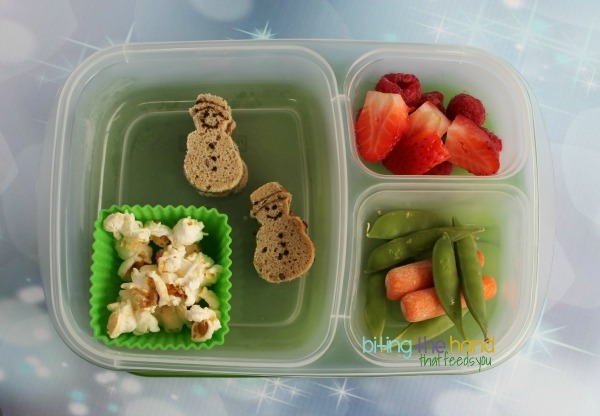 Tuesday, 12/17/13 - My toddler is more likely to eat her bread if I make the sandwiches small, so I used a mini snowman cutter on some scraps from something of Z's to make a few mini sandwiches. I used a toothpick to paint on some dye-free natural food color features. 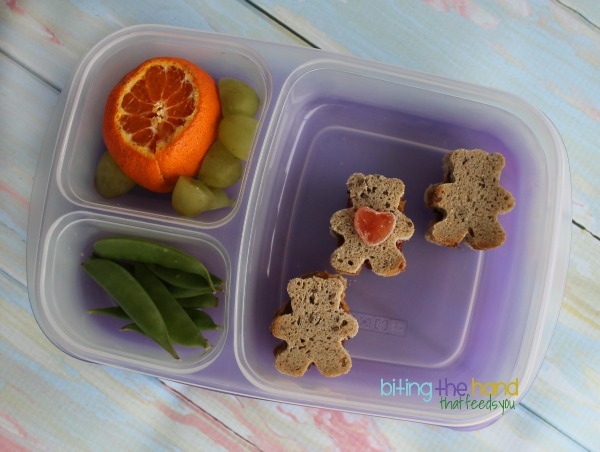 Friday, 12/20/13 - More tiny sandwiches for E, this time with a mini bear cutter. And I sliced a Surf Sweets heart-shaped gummy in half for each girl, since a whole one was aesthetically too thick for the lunches. Ha! A gingerbread girl cutter with a gummy heart and some India Tree Nature's Colors jimmies sprinkles to make a face, and done! Plus a gingerbread candy man cupcake pick to keep it festive.